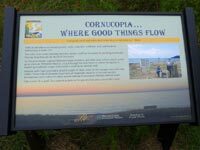 "Cornie" is a little seaside village nestled at the western edge of the Bayfield Peninsula along highway 13 about 22 miles from the town of Bayfield. 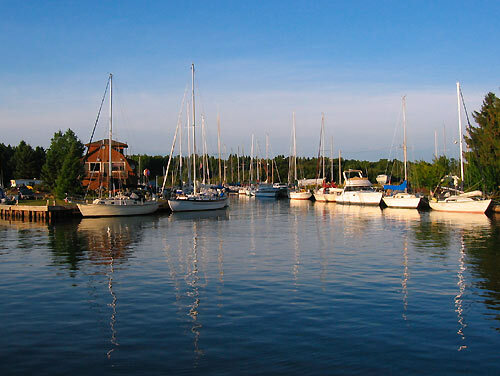 Siskiwit Bay and the Siskiwit River form a natural harbor for both recreational and commercial fishing vessels. 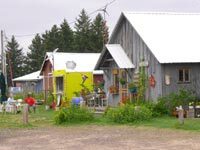 Complimenting the marina are a bed and breakfast, a few artisan shops and Halvorson's commercial fishing operation and retail store. 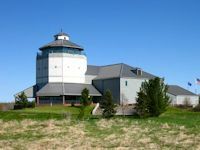 Just east of the marina complex is the township museum, the town park with picnic tables and swimming beach, and the artesian well. 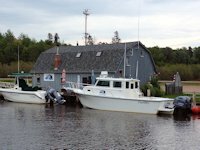 < < < Halvorson's fishing fleet waits patiently for work . . . There's a handful of quaint artisan and gift shops lining the harbor . One year we were walking along the boardwalk behind these shops and we noticed a tub of Leinies beer floating in cool spring water with a note to passers-by to have a free one in honor of Ricky's birthday! 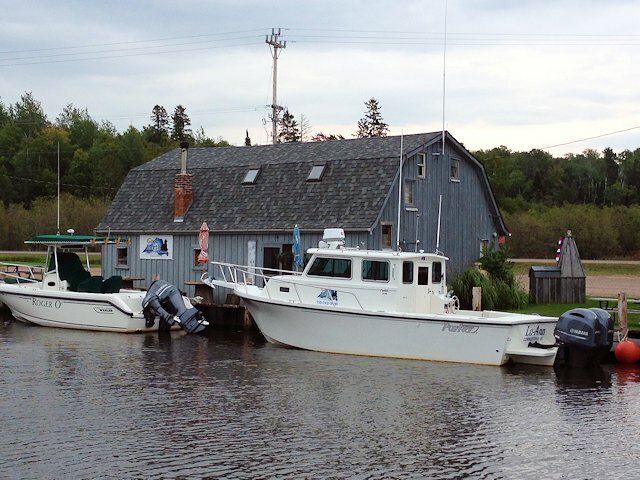 The Good Earth Shop (in the background in the above picture) has expanded its services (Good Earth Outfitters & Gift Shop), now offering power boat tours to the famous Lake Superior Apostle Islands Mainland Sea Caves, Sand Island Sightseeing Tours and Water Taxi Services in and around the Apostle Islands on Lake Superior. 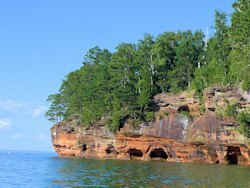 See photos from our 2016 Sea Caves Boat Tour with Captain Mike. Ehlers General Store is over 90 years old and still retains some of the Olde Tyme character while offering more contemporary goods and services. 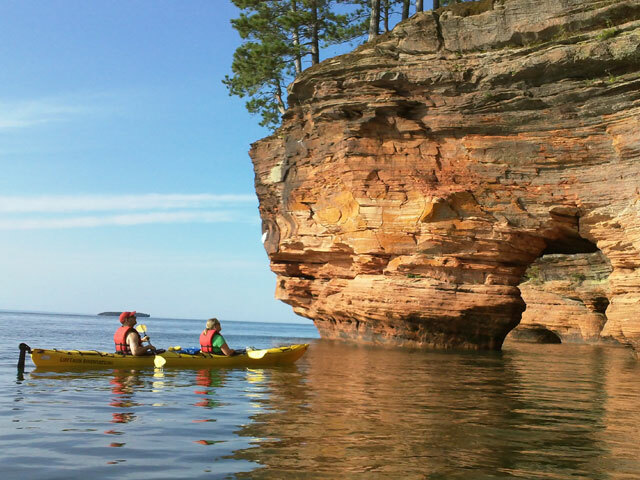 Kayakers and boaters planning to visit the sea caves can get important information on wave conditions at the Sea Caves Watch Website. 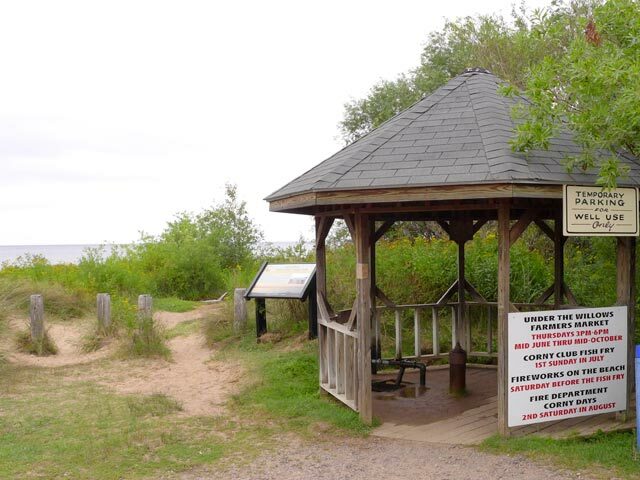 The lakefront beach and park hosts several community events during the summer, including 4th of July Fireworks, and the artesian well pagoda at the east end of the park is a popular rest stop for tourists traveling on the newly designated Highway 13 Scenic Byway. SuperiorTrails donated the beach picture at the bottom of the sign welcoming visitors to Cornucopia. 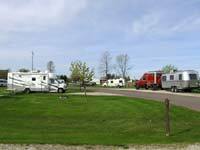 A few miles SE of town, via Cty C, there is an attractive but rustic campground at Siskiwit Lake. There also appears to be a few lakeside campsites at the Marina. Otherwise, it is the town park at Little Sand Bay (east) or west to Herbster and their town park. Both are on Lake Superior. 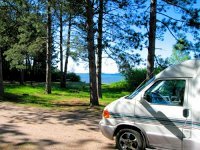 Go Here for more info on Camping in the Bayfield Peninsula area. 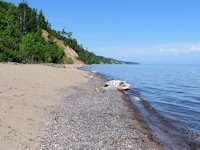 In wintertime Corny hosts hikers venturing out from the nearby Apostle Islands Park Meyers Beach to the famous Bayfield Lake Superior Ice Caves. Usually the ice isn't thick enough for safe traveling until February so before planning your trip you might check with the folks at Ehlers General Store in Cornucopia info@ehlerstore.com for the latest conditions or see the phone #s at bottom of our Ice Caves Photos page. Another popular winter attraction near Cornucopia is the annual Apostle Islands Dog Sled Race held the first weekend in February. 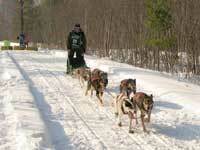 It is a popular family event as some of the races are oriented towards young mushers just learning the sport.